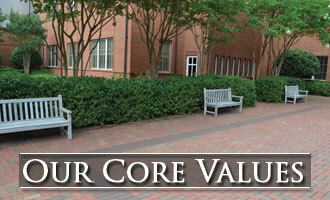 Throughout our rich history, Johns Creek Baptist Church has consistently upheld the classical values and beliefs of Baptists. 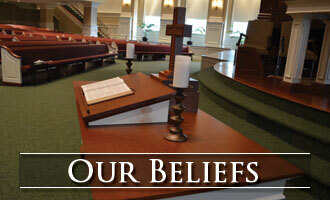 We also recognize certain distinctives that we hold as central to our faith and practices. If you would like more information to speak to someone on staff, feel free to contact us! 1. God is the loving Creator and deserves our worship. 2. Jesus Christ is God’s Son and everyone needs to know Him as Savior. 3. The Holy Spirit is God’s presence in every Christian. 4. The Bible is God’s inspired word for our lives. 5. Christians should seek to grow, practice, and share their faith so that others may know Jesus as both Savior and Lord. 6. 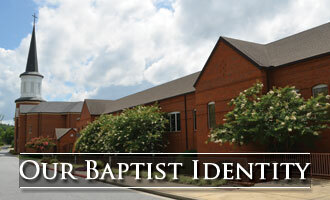 Johns Creek Baptist Church is part of the body of Christ here on earth.